SNSK is the successor or our reliable company namely Saharat Power ltd.prt. Some of the experiennces of SNSK are inherited from Saharat Power. 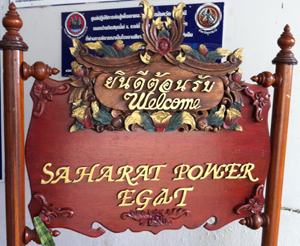 Saharat Power has been in business since year 2000 and is well known in delivering quality in Thailand Electrical organization i.e. Electric Generating Authority of Thailand, Metropolitian Electricity Authority. MV swichgear for Induction furnace of Siam Kubota project. 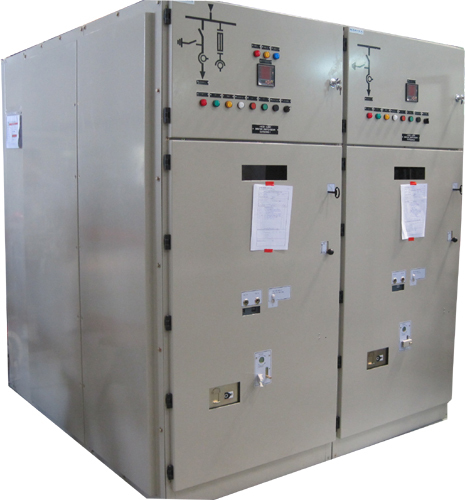 The switchgear is local made in Thailand using Siemens 3AH circuit breaker and SEG protective relays. The switchgear feeds power to 4 winding transformers to get rectified through the low voltage control system. There are 2 outgoing feeders to the rectify transformers. The incoming feed is connected directly to busbar of the switchgear. See the mimic diagrams in the panel photo. We do manufacturing of the switchgear, delivery to site, install and commission them successfully.